I received an email today from TouchNote today, saying "it's been over a year since you sent this photo as a Touchnote postcard! It's probably still out on display somewhere being enjoyed, too! Why not make someone's day with another postcard?" 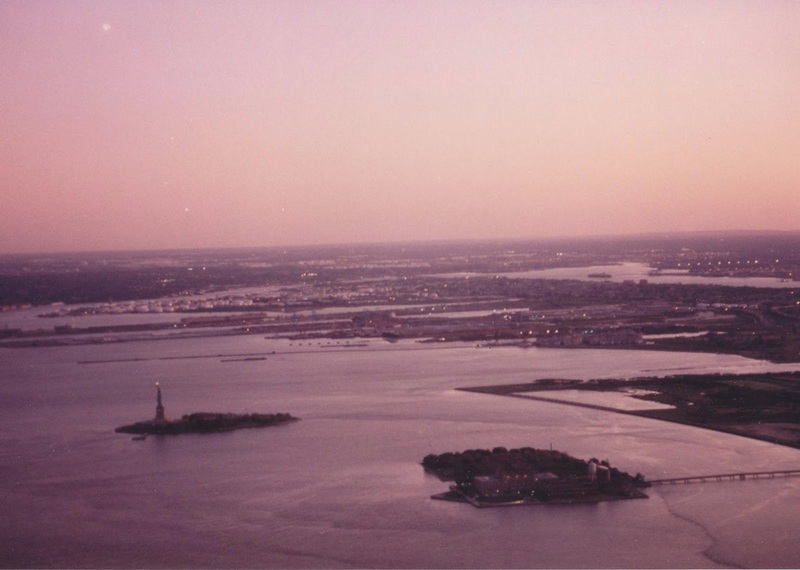 The postcard shows a sunset view from the top of the World Trade Center at Lower Manhattan in New York City, overlooking the Statue of Liberty and Ellis Island, 20 years ago in 1994 when I first visited the Big Apple. The original World Trade Center featured landmark twin towers, opened on April 4, 1973 and destroyed in the September 11 attacks in 2001.